The audience laughed at the line. There’s just one problem. David Garcia has been arrested — a few times. 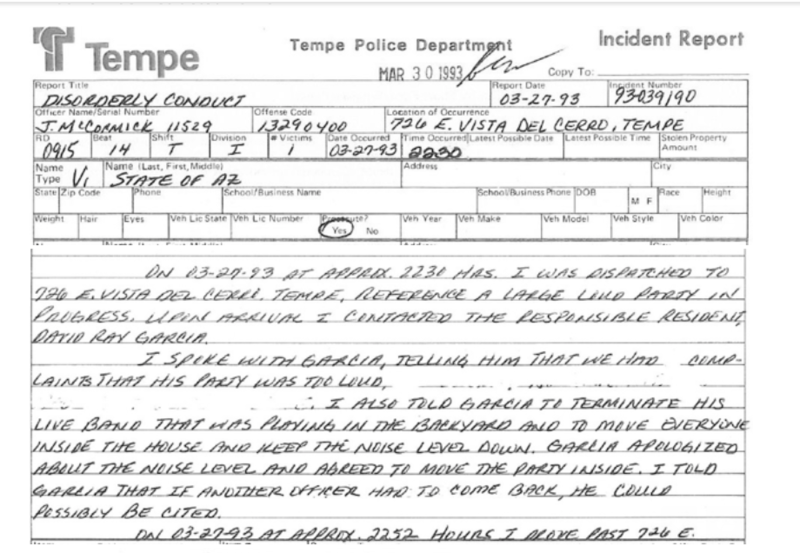 A tipster sent The Daily Caller police records pertaining to two separate police busts for Garcia. In July 1990, Garcia was arrested by an Arizona Police Officer for not having proof of insurance or motorcycle license. 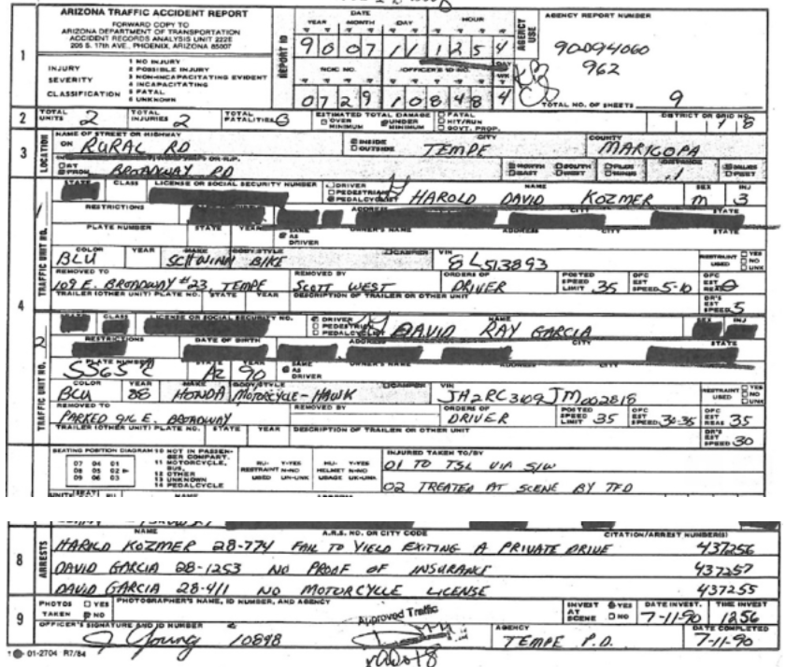 In March 1993, an Arizona police officer placed Garcia under arrest. The officer investigated a loud party hosted by Garcia and instructed Garcia to quiet down and move the attendees inside. Garcia agreed. However, when the officer returned he found that the loud party was still ongoing and Garcia had not complied. The officer placed Garcia under arrest for disorderly conduct. Garcia is running a competitive primary in the swing state of Arizona against sitting Republican Governor Doug Ducey. Local Arizona press covering the race has caught Garcia stretching the truth on the campaign trail on occasion. If primary advantages hold out, Garcia could face Ducey in November in what will surely be a tight contest Garcia is seen by some as a rising star in the Democratic Party.